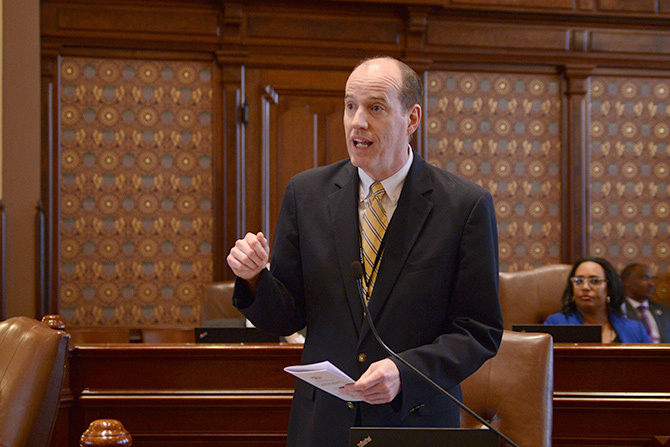 SPRINGFIELD – A legislative effort by State Senator Bill Cunningham to help stop the spread of influenza in hospitals and other health facilities passed the Illinois Senate today. 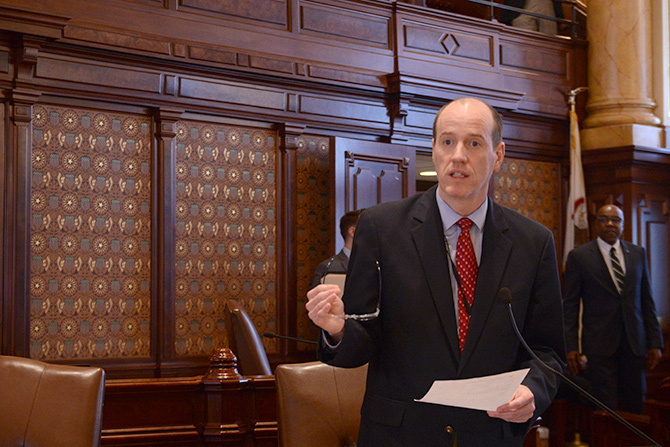 The measure, House Bill 2984, allows certified local health departments and any facility licensed by the Illinois Department of Public Health to implement more stringent flu vaccination policies aimed at protecting patients from exposure to the flu and improving vaccination rates. 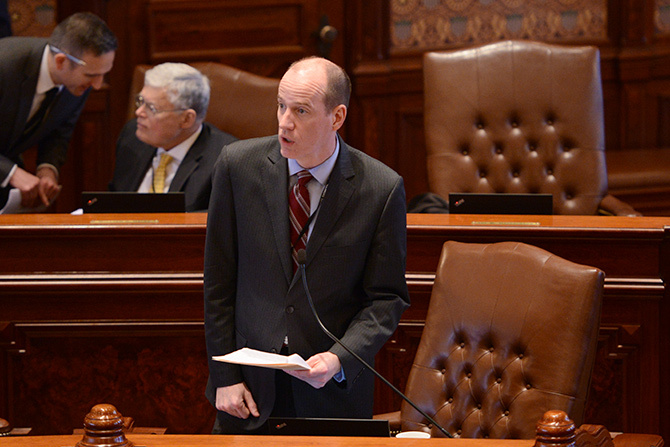 “Given the concrete science behind the effectiveness of flu vaccines, we have a responsibility to protect patients from being exposed to the flu virus by the public employees charged with caring for them,” said Cunningham, a Democrat who represents Chicago and the Southwest Suburbs. HB 2984 now moves to the Governor’s desk for his signature. SPRINGFIELD — State Senator Bill Cunningham joined firefighters and their families from across the state today for the 25th annual Illinois Fallen Firefighter Memorial at the Capitol. 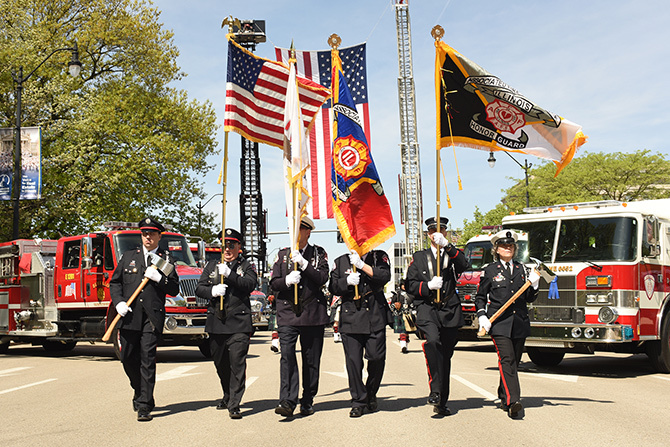 The Illinois Firefighter Memorial is dedicated to the firefighters of Illinois, who have given their lives in the line of duty and to those firefighters who heroically serve with courage, pride and honor. The Line of Duty Death Award is given to the family of a firefighter deceased in, or as a result of, the performance of their duty. In addition to firefighters and fire officials, the event features the Associated Fire Fighters of Illinois Honor Guard and Pipes & Drums. This year, State Fire Marshall Matt Perez honored two firefighters: John “Mike” Cummins of the Homer Fire Protection District and Lawrence Matthews of the Dolton Fire Department. SPRINGFIELD — Secretary of State Jesse White has awarded more than $15 million in funding to libraries statewide through Illinois Public Library Per Capita grants to help with such expenses as materials, personnel, equipment, electronic access, telecommunications and technology. SPRINGFIELD - In the wake of a steep hike in the number of carjacking incidents in Chicago, the Illinois Senate took action this week to close a loophole carjackers have used to avoid prosecution and to ensure young offenders are sent to juvenile detention when arrested for carjacking incidents. Under the current law, an officer may only pursue auto theft charges if the person driving the car has “knowledge that the vehicle is stolen.” As a result, car thieves routinely avoid accountability by denying that they have any knowledge that the vehicle is stolen. State Senator Bill Cunningham, a Democrat representing Chicago and the Southwest Suburbs, is a chief co-sponsor of the legislation, Senate Bill 2339, which would allow police officers the ability infer based on surrounding facts and circumstances that an individual in possession of a stolen vehicle has knowledge that the vehicle is stolen. The measure would also help ensure minors charged with carjacking are detained. A recent report in the Chicago Sun-Times showed that most juvenile carjacking suspects are released to their parents or on electronic monitoring within 24 hours of arrest. SB 2339 would curtail that practice. To discourage youth from starting on the path to carjacking, SB 2339 would require that minors charged with vehicular hijacking, aggravated vehicular hijacking, or possession of a stolen vehicle, to be held for a detention hearing within 40 hours of being detained. If the court finds probable cause that the minor committed the crime, the minor would be held for a court-ordered psychiatric evaluation, which would be used along with other factors to decide if the minor should be further detained, or receive counseling or other necessary services. SB 2339 passed the Senate and now heads to the House for consideration.